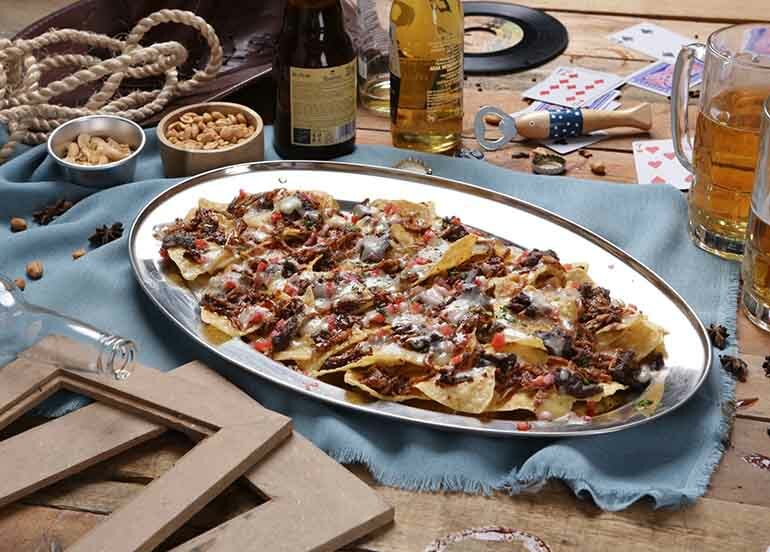 One of the most famous appetizers out there, nachos are a staple not just among comfort food, but food in general. It’s crunchy, cheesy, and just all around a light snack to eat while passing the time. 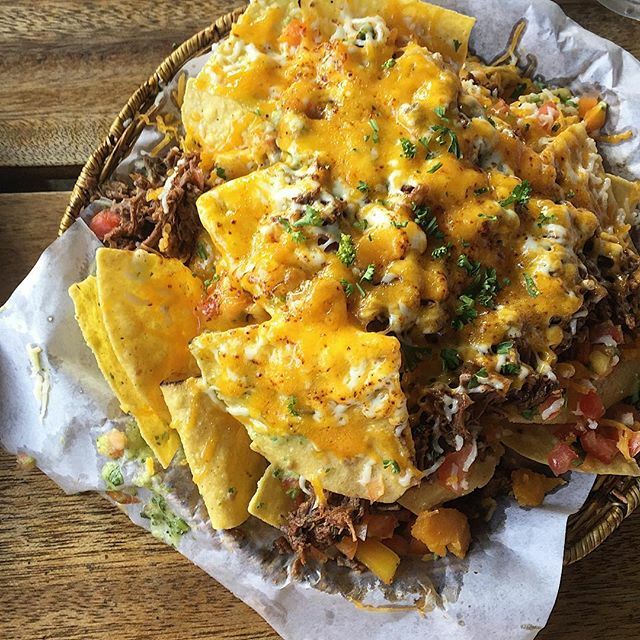 If you find yourself thinking about nachos often, we feel the same way! 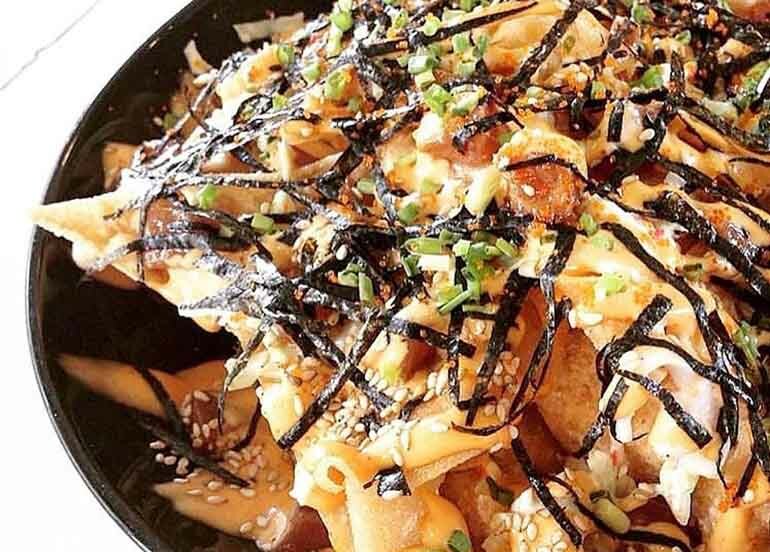 So we’ve come up with a list of the best places in Metro Manila to get some nachos. 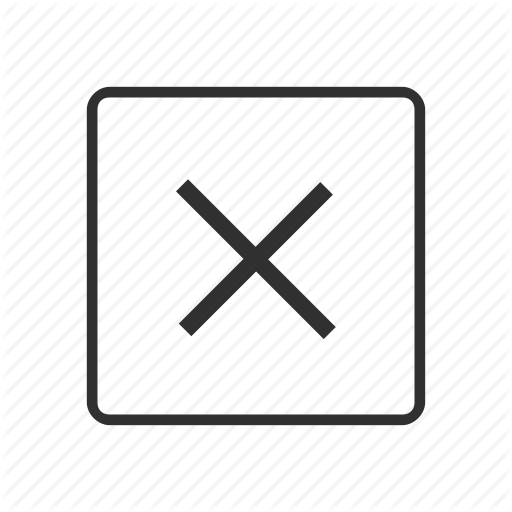 This is nacho ordinary list, so keep on reading! 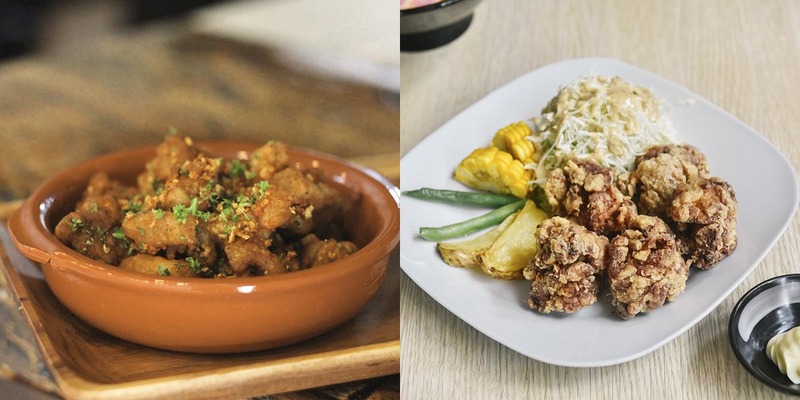 Updated: Check out the Top 10 Most Loved Restaurants in Metro Manila this month! The Belle & Dragon is a British resto-pub serving bar chows, draft beers and signature drinks. 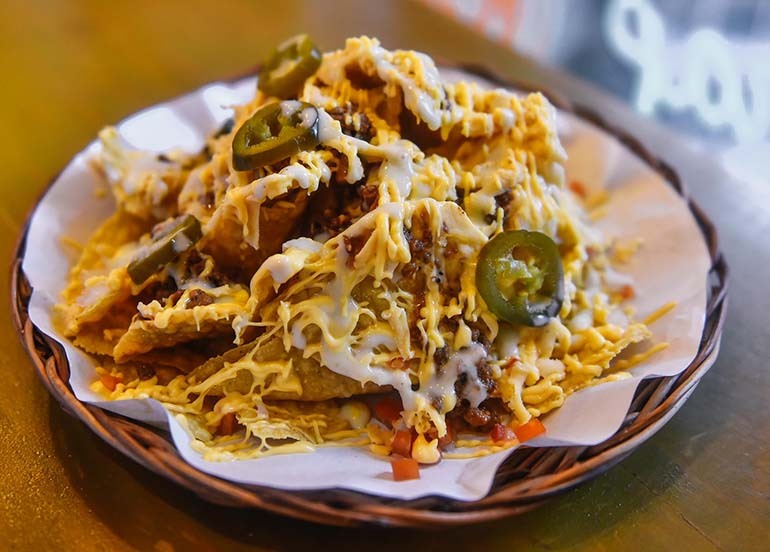 Their Wanton Nachos made with wanton crisps, hoisin sour slaw, sriracha aioli, mozzarella, cheddar and ground pork, is a favorite ‘pulutan’ among regulars and newcomers. One Plus Coffee is a co-working space and cafe in one. It’s a perfect place for people who wants to study alone or in a group. 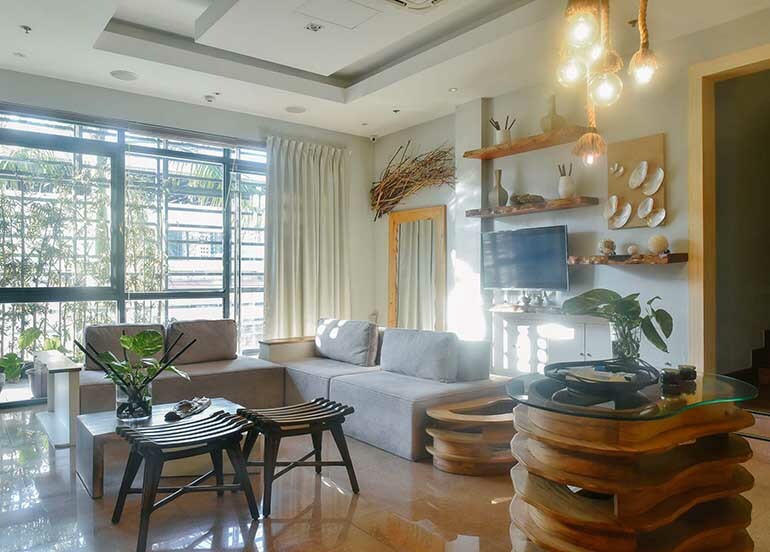 Also, it’s a place for people who are starting up their own business and looking for a place to grow and stay. 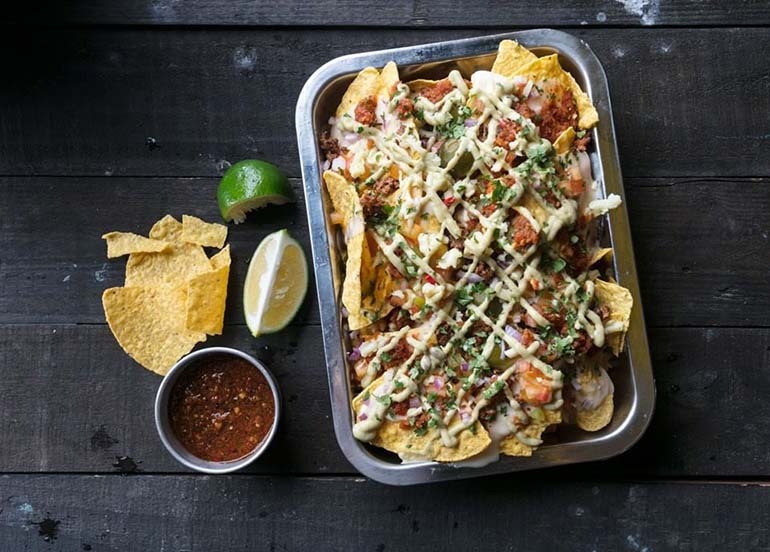 Try their Nachos Deconstructed! OnBoard Game + Gastro Pub is the first board game and pub concept featuring a full service kitchen that serves inspired comfort food, specialty cocktails, craft beers, and a collection of over 400 board game titles that suit all ages and preferences. 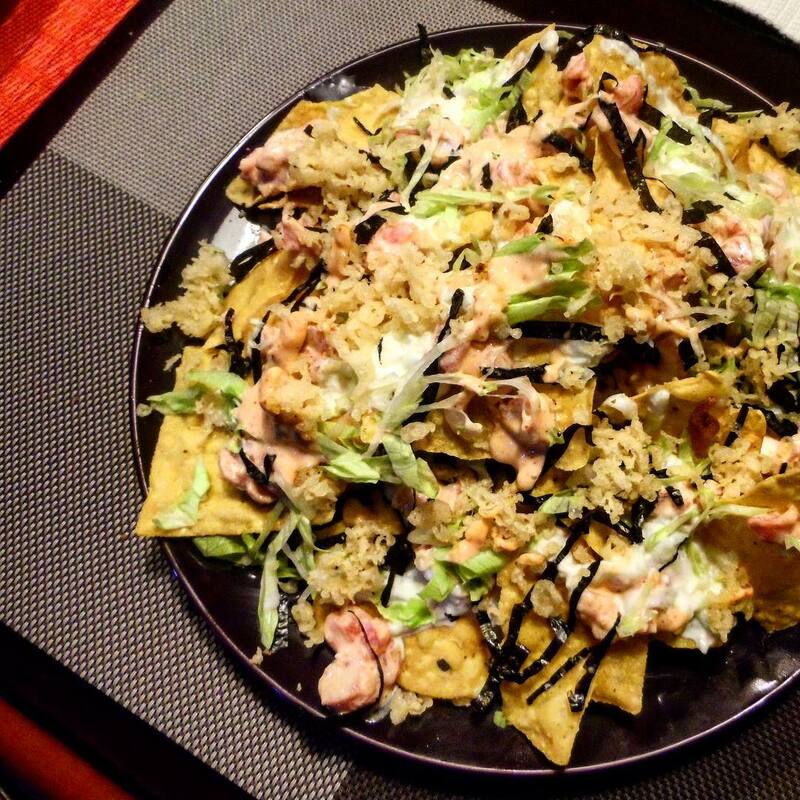 Their Japanese-inspired Nacho Hai is made up of corn chips, nori strips, spicy tuna sashimi, sesame mayo, shredded cabbage, toasted sesame seeds, tonkatsu dressing, and cilantro mayo. Mentore Coffee + Bar aims to educate customers about authentic and high quality coffee. Since they’re also a bar, they offer a few interesting cocktails in their menu too. 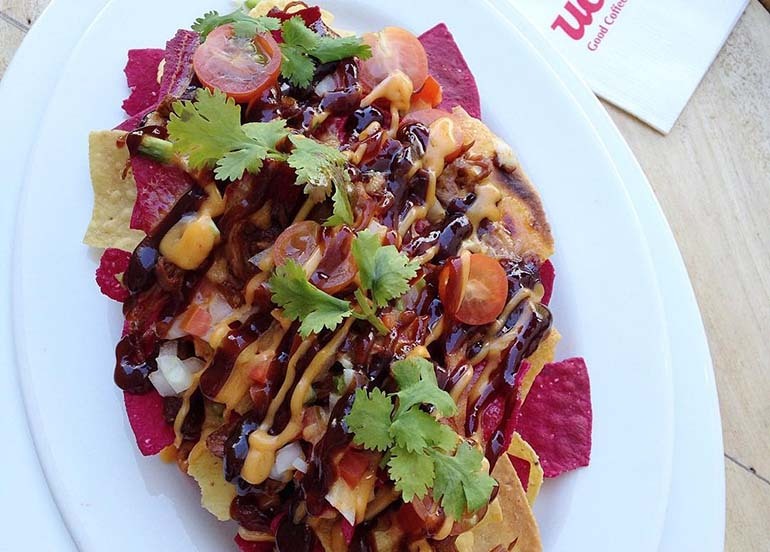 One of their must-orders is their Mentore Nachos, made of tortilla chips topped with pulled pork, tomatoes, mixed bell peppers, onions, cheese sauce, and their signature barbeque sauce. 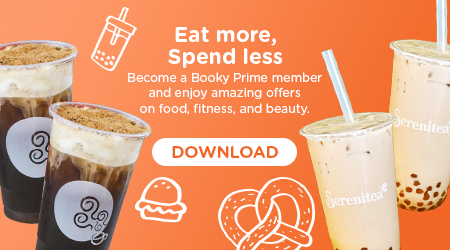 Insider tip: Get 2 orders of Choco Chip Bits Brendo with Booky! 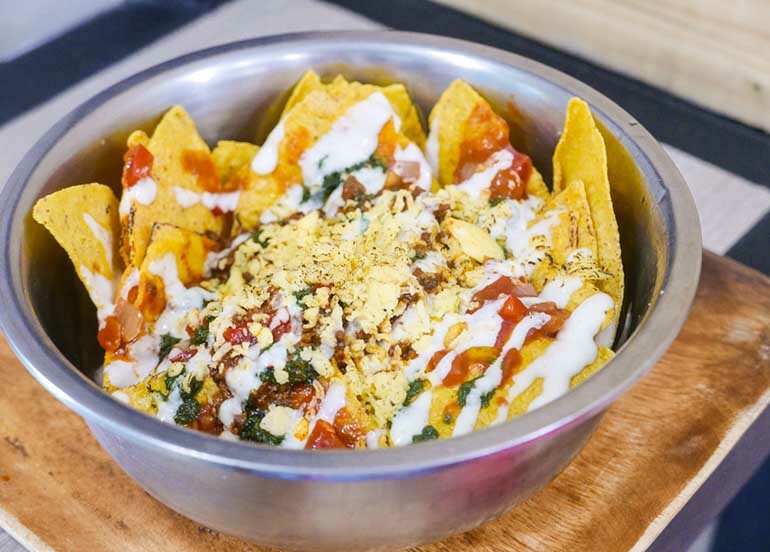 Taqueria Seta is a tow-storey taqueria that specializes in Mexican street food like nachos, tacos, quesadillas burritos and more. 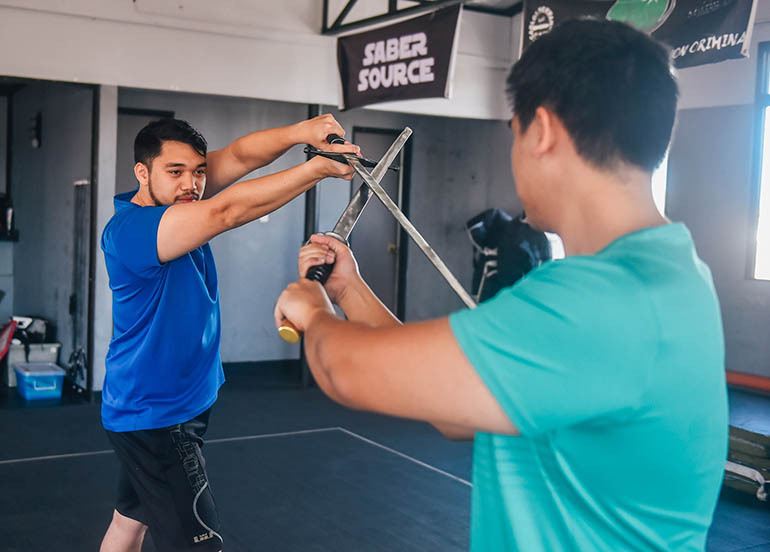 May be one of Ortigas’ best-kept secrets, Moonshine PUB is a resto-pub serving international dishes and unique cocktail drinks. 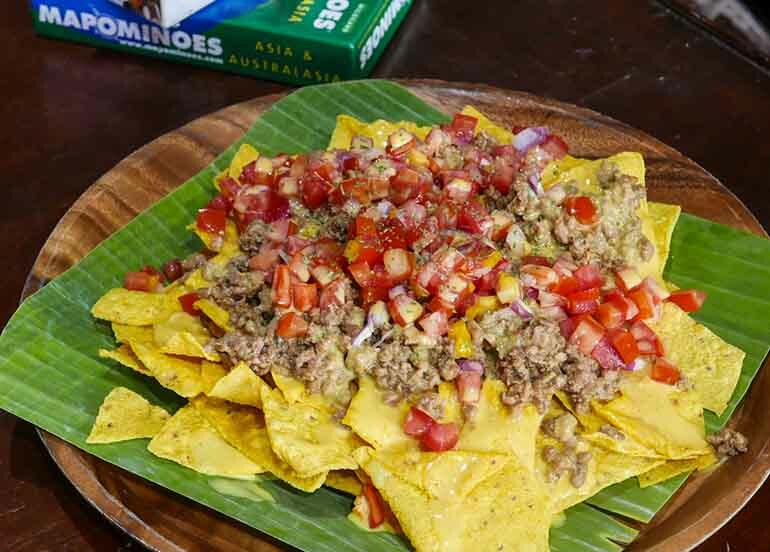 Their Pork Adobo Nachos is an interesting fusion of the Mexican and Filipino cuisine. 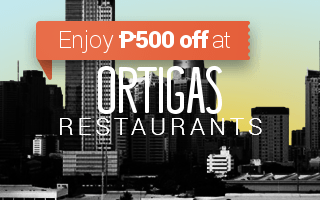 Tittos offers a playful gastronomic experience planted on Filipino roots with a Latin American twist. 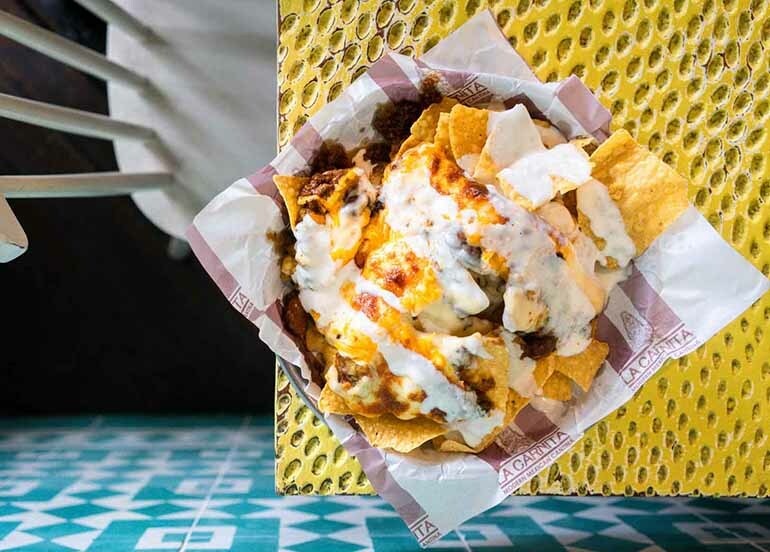 Don’t forget to try their Nacho el Gigante, tortilla chips, beef barbacoa, tomato salsa, jalapenos, shredded lettuce, trio of cheese, chimichurri, mexican crema. You have have them in 2 serving sizes. medio or grande! 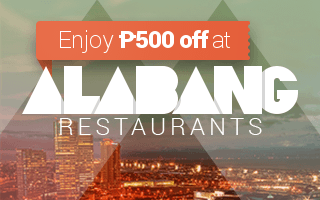 Blake’s Wings & Steaks is an all-American diner that first opened in Marikina. 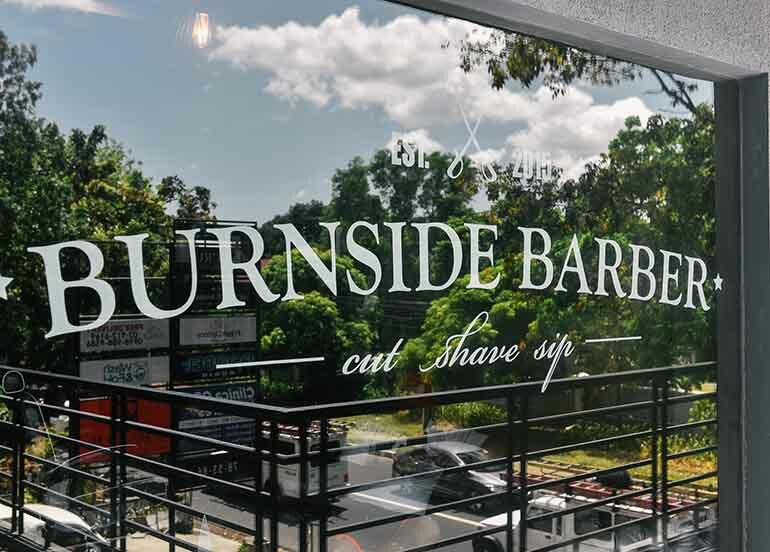 It serves hefty portions of wings, ribs and steaks for the entire family to enjoy. 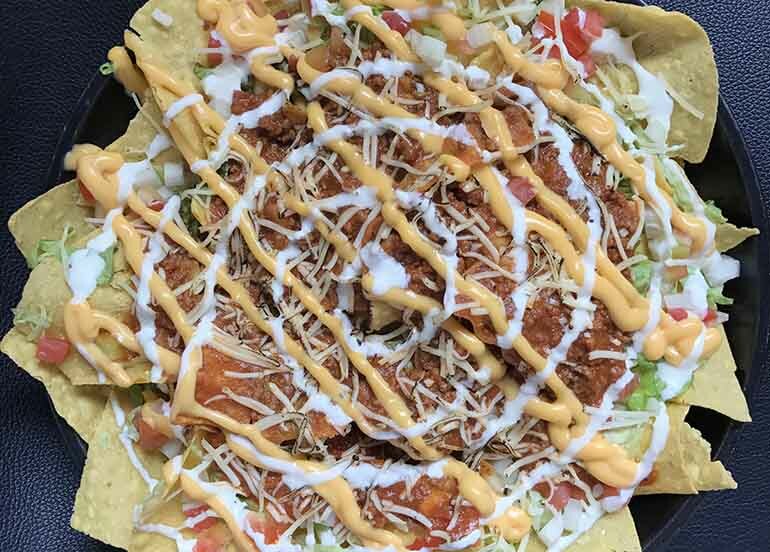 You must try their nachos, garden-fresh lettuce, cherry tomatoes, tasty ground beef, cheddar cheese and zesty sour cream, all on top of a pile of crisp tortilla chips. 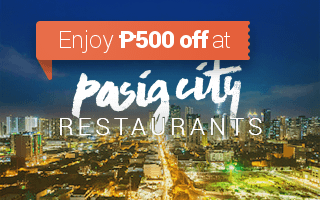 Fat Russel’s Kitchen, opened last October 2016, is a casual dining restaurant that offers a wide array of comfort food with a fusion of different cuisines like American, Filipino, Japanese, Italian, Chinese and more. 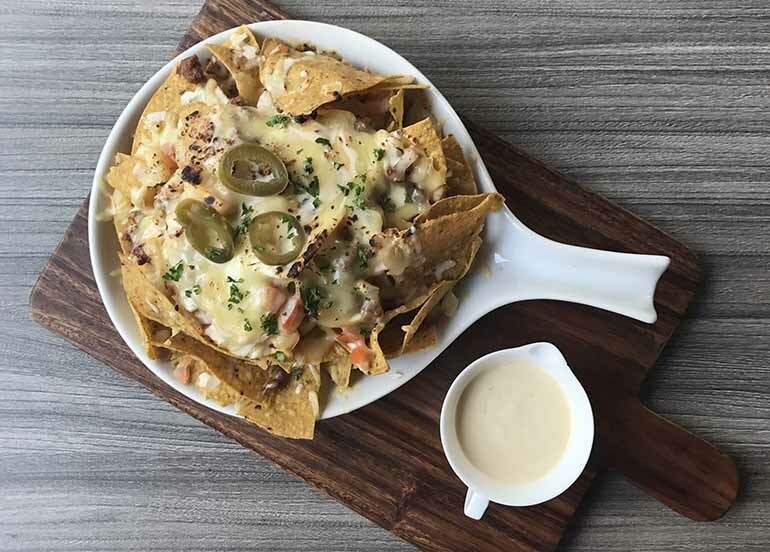 One of their best sellers is their Nachos – simple yet deliciously comforting! 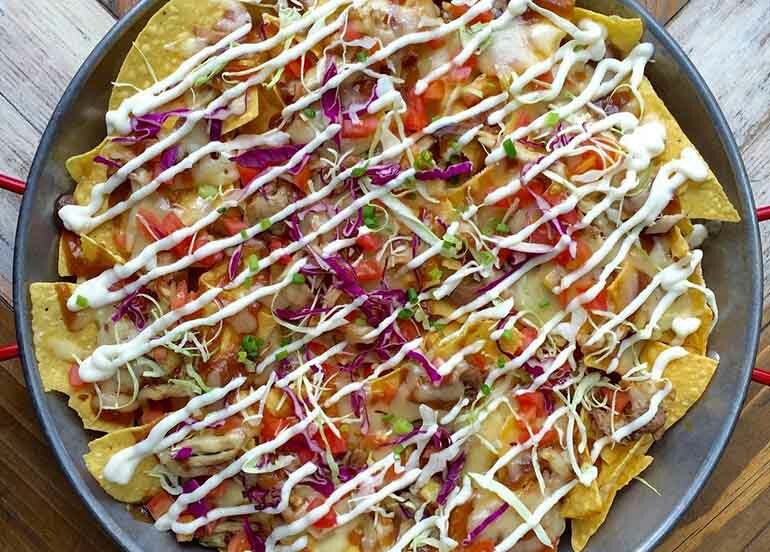 Silantro is an affordable Tex-Mex restaurant most known for their best-selling Beef Nachos, Paella Fajita Mix, Calliente Wings (also featured here) and Silantro’s Quesadillas. 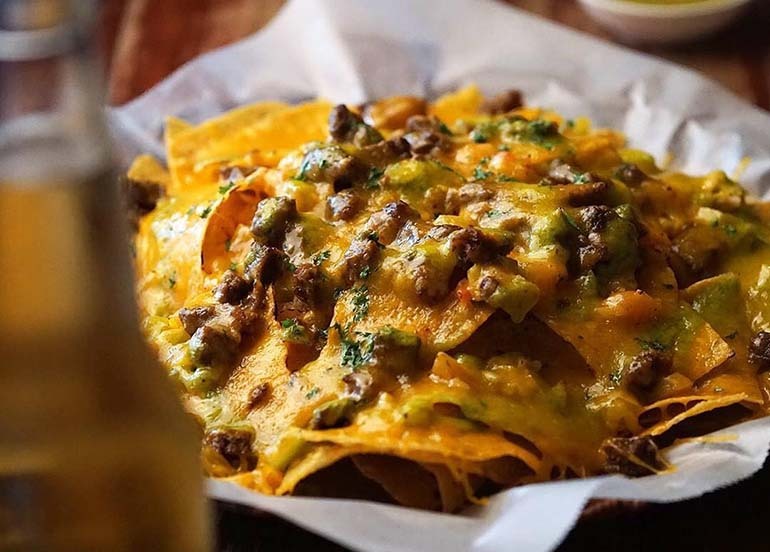 Those who’ve tried Silantro swears that they have the best beef nachos they have ever tasted! 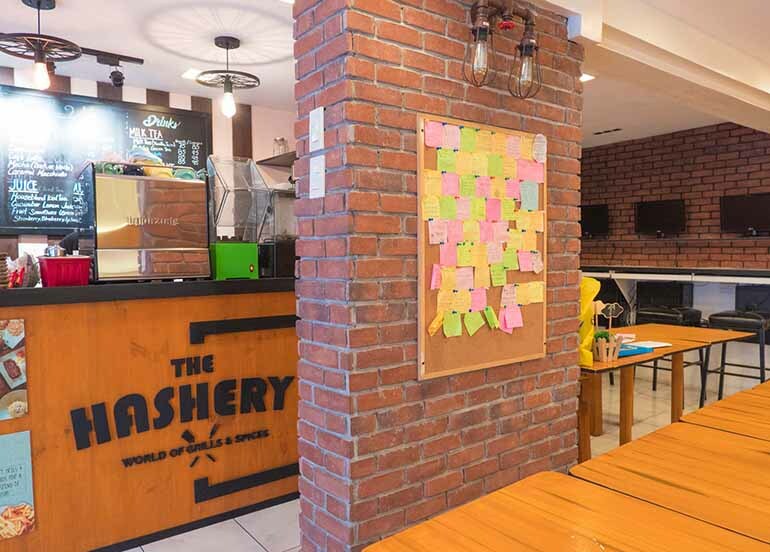 Naughty Nachos is a casual dining restaurant offering comfort food such as cheesy nachos, burgers, fries, and milkshakes. 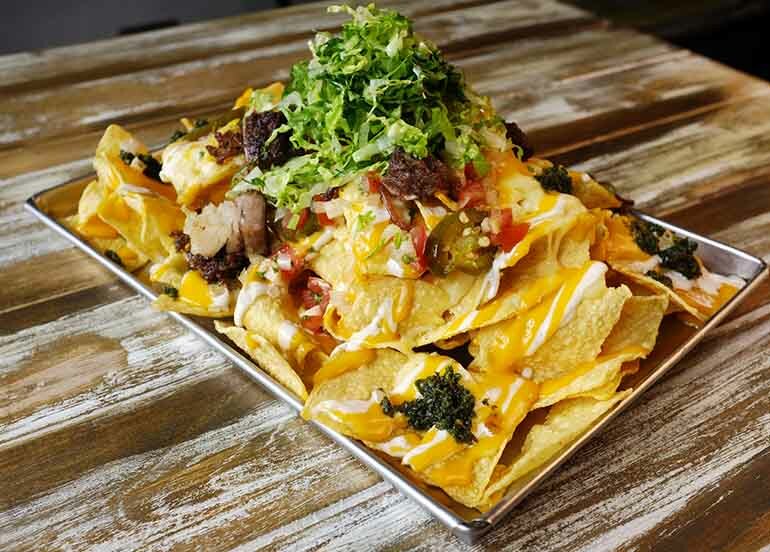 They’re best know for their Nacho Volcano, a mountain of nachos, and is the largest serving of nachos in the country. Snacks and Ladders Board Game Cafe offers great food and unlimited play that’s perfect for everyone. 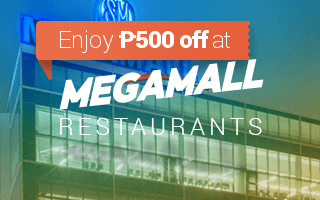 They have a wide selection of Filipino-American fusion snacks and meals. Taco Joe’s Food Shack serves Mexican favorites like tacos, quesadillas, and more, as well as cocktails and other beverages. 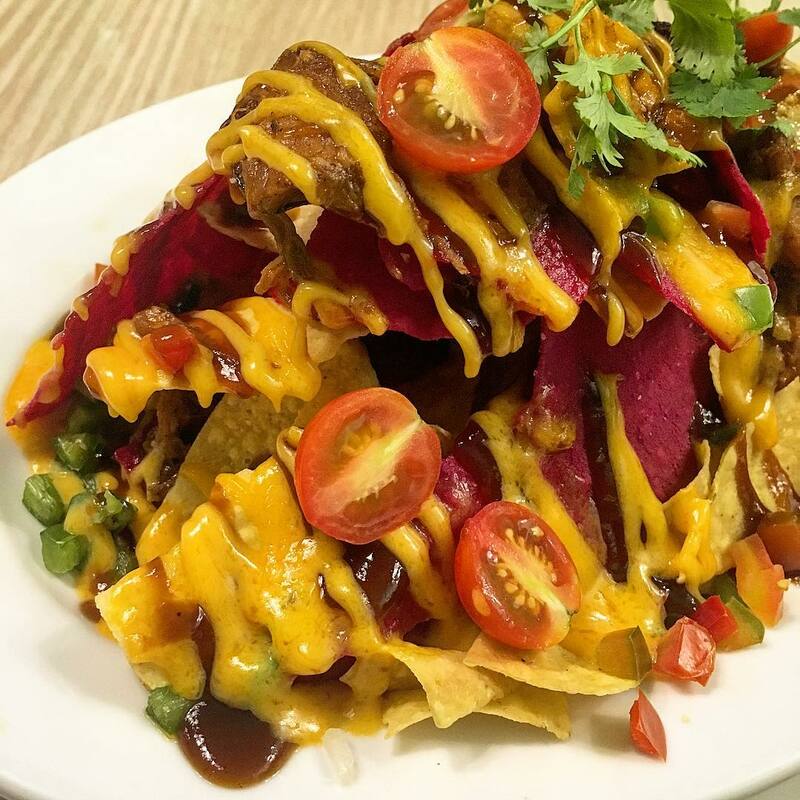 Check out their Macho Nachos! 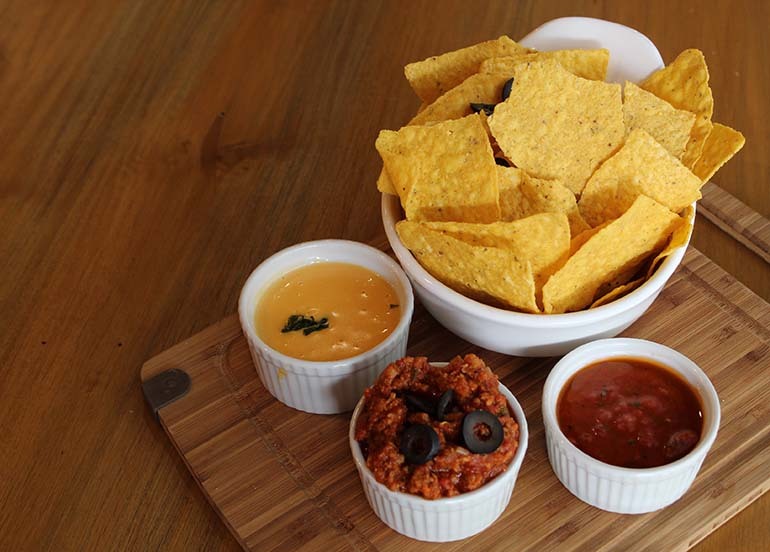 Mexican cuisine with the Filipino sensibilities, Tres Chickas is sure to become your go-to Fil-Mex joint. They have burrito bowls, quesadillas, and nachos! 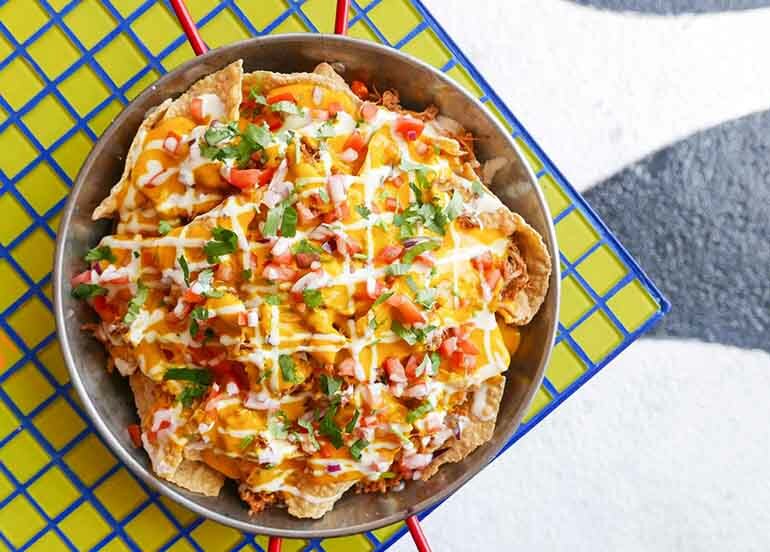 La Carnita is a modern Mexican restaurant serves delicious slow cooked meat, quesadillas, soft tacos, and their famous Nachos ala Bomba. Gorda is run by siblings whose love for food started ever since they were young. 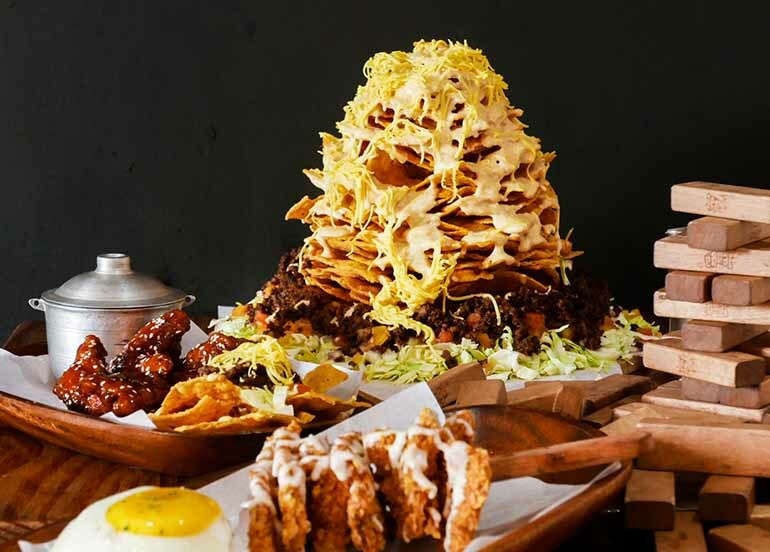 This restaurant specializes in Filipino-Mexican dishes and family recipes. 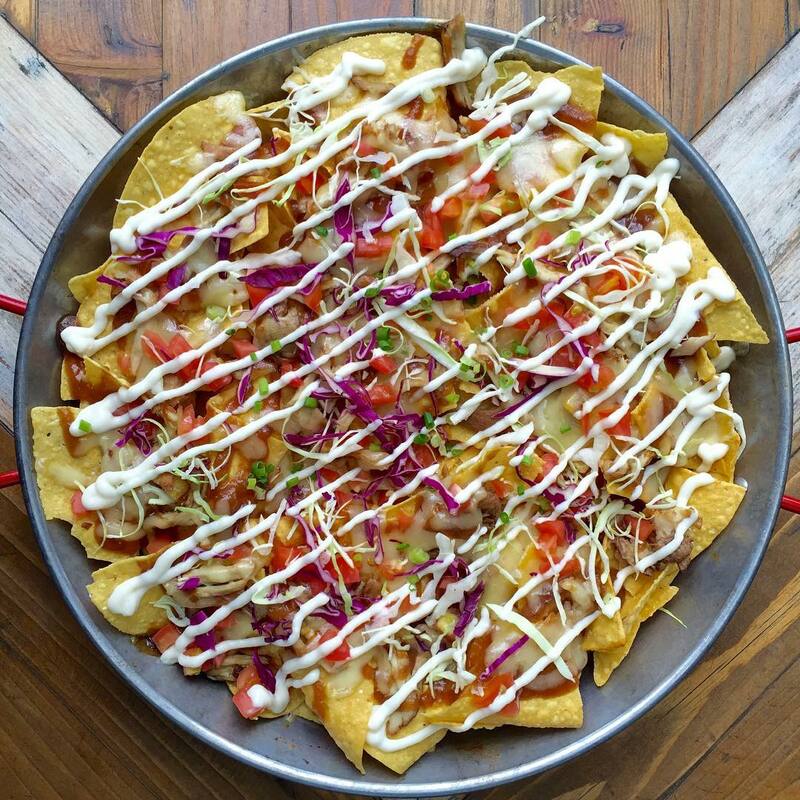 Don’t forget to order their Mama’s Nachos, spiced beef estofado, trio local keso sauce, ensalada, jalapeño atchara. 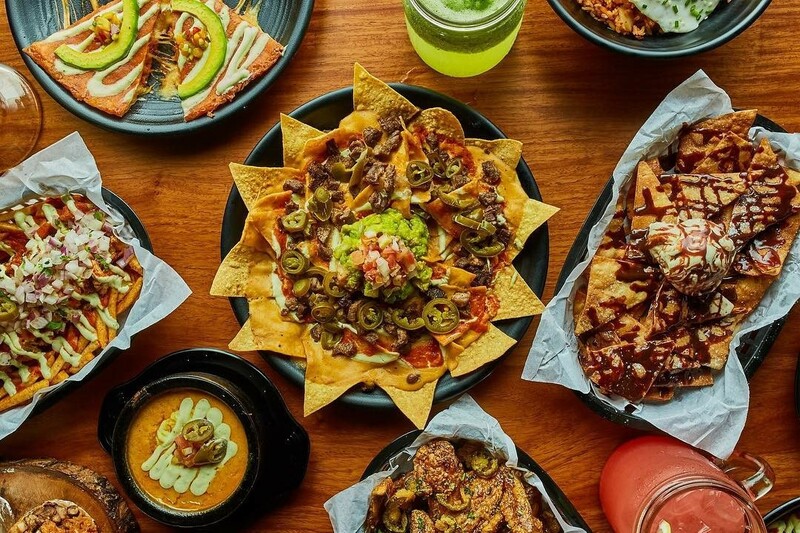 Vatos Urban Tacos offers Mexican food with a Korean twist, with dishes like kimchi carnitas fries, Nutella nachos, and more. 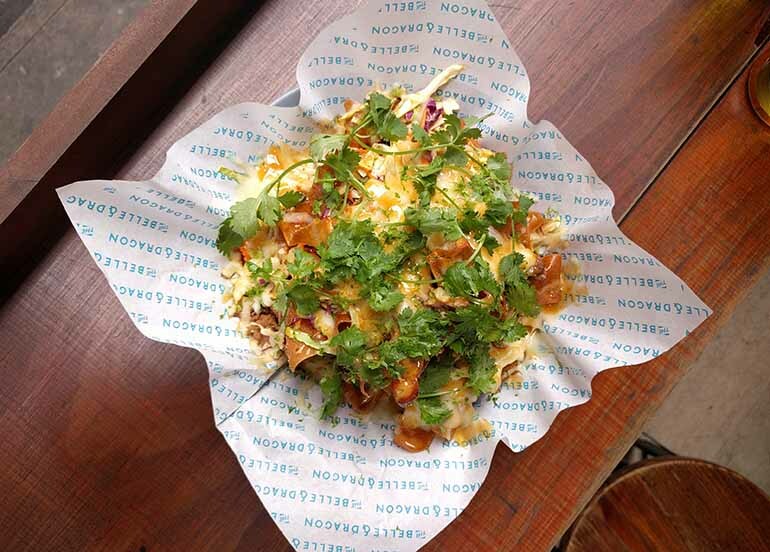 Click here to open the app and claim some Buy 1 Get 1 deals from Vatos Urban Tacos! Nacho Bimby partners with Potato Corner to serve you 2 of the most popular movie snacks in one place. 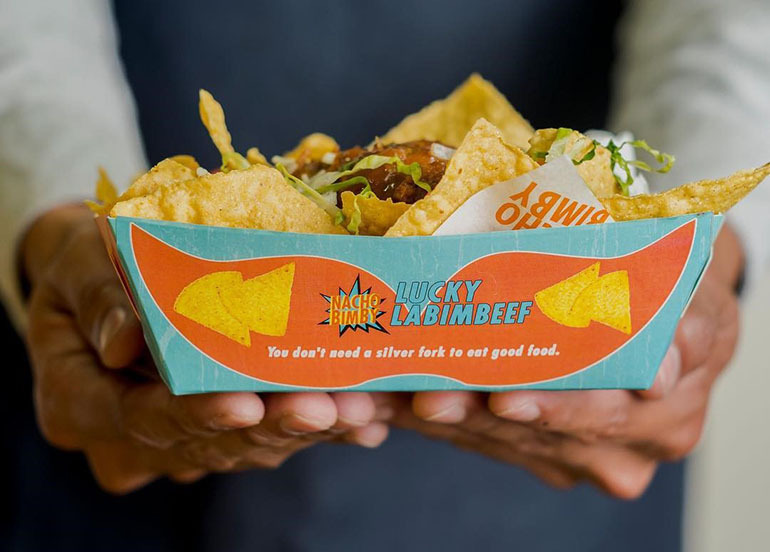 While they have many flavors to choose from, their Labimbeef Nachos which is made up of signature pulled beef brisket, corn kernels, salsa, pico de gallo, jalapenos and cheese, is their number one best-seller. 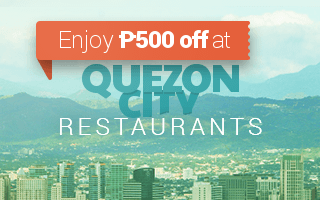 Sizzlin’ Steak is your one-stop place fordelicious DIY sizzling treats. Meat your match and take your pick between their Rib-eye, Tenderloin, Stirloin, Cheesy Beef Rice, Chicken Steak, or even create your own! 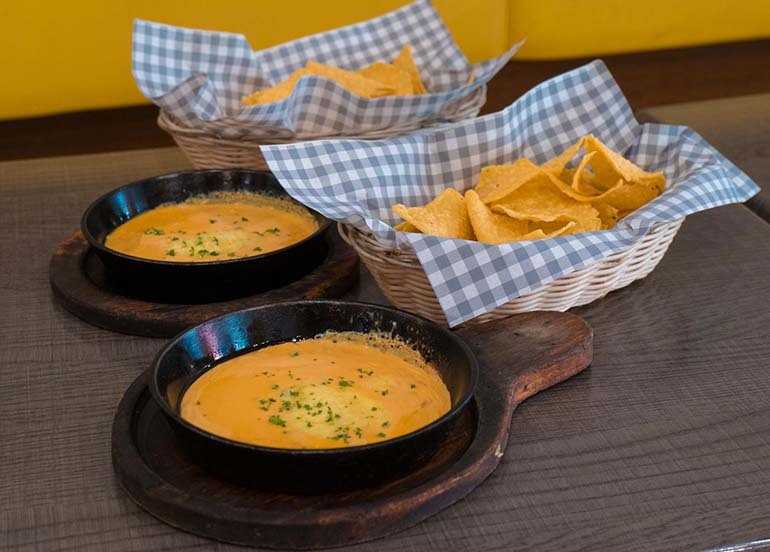 Try their Cheese Dip with Nachos. Chichario Peri Peri Chicken + Cocktail Bar is a casual dining restaurant that focuses on Latin American-inspired dishes. The name is inspired from Rio De Janeiro in Brazil. 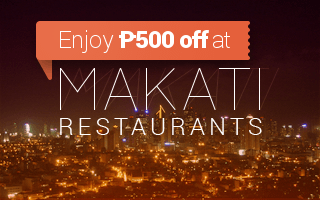 It’s from the same people behind Lan Kwai Speakeasy in Katipunan, Quezon City and Ms. Gee in Poblacion, Makati. Make sure to try their Nacho Carnitas! 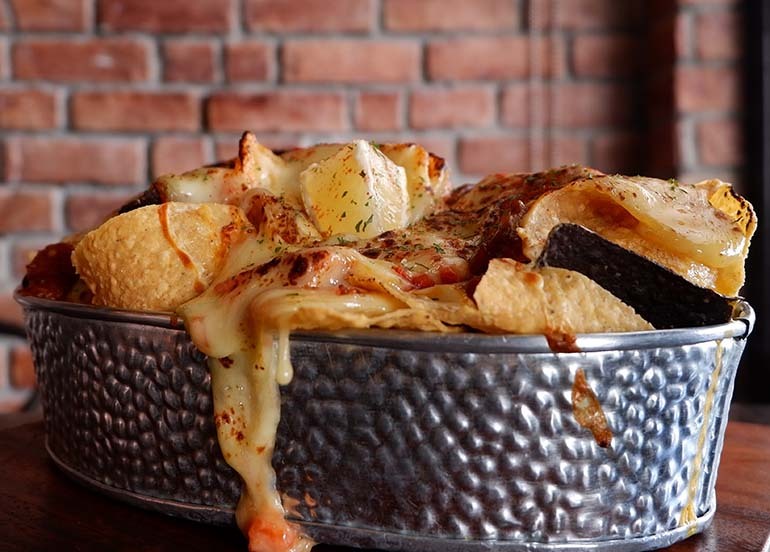 Gringo offers exciting, local twists, on Latin American and Tex-Mex cuisine. From their original chicken cuisine, to their delicious Nacho Grande, every dish is sure to be an adventure of flavor. 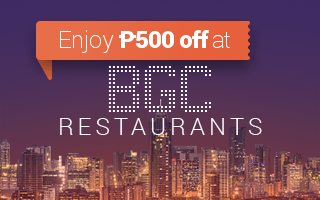 Search for these restaurants and more on the Booky App! Don’t forget to tag us on Instagram @bookyapp and use the hashtag #bookymanila so that we can feature your food posts too!